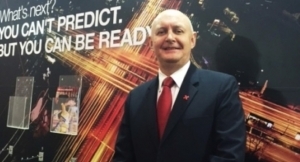 The UK converter installed its first Xeikon machine back in 2012 and has since enjoyed tremendous growth. Xeikon, the Digital Printing Solutions division of Flint Group, has announced the installation of a new Xeikon CX3 digital colour label press at UK-based PeterLynn Ltd, Corby. A long time user of the technology, PeterLynn installed its first Xeikon machine back in 2012, upgrading the original Xeikon 3030 press to a Xeikon 3300 model in 2014 to increase throughput. Established in 1985, PeterLynn Ltd manufactures custom roll labels, plain paper labels, laser labels, tickets and tags. It provides a range of products for specific applications, including synthetic materials, write and seal labels, mobile printer labels, high temperature and cryogenic label products. Commenting on the latest addition, James Lindsay, Managing Director of PeterLynn, says, "Xeikon technology has helped us to dramatically change our business since we first installed the 3030 machine back in 2012. Our digital label work has grown tremendously over the five years, and the investment in the new Xeikon CX3 press had become essential in order for us to keep up with the volume of orders that we are now having to process. The new press will give us at least 50% more capacity, as well as expanding the range of label materials that we can print. "The work generated by having this digital capability has helped us to expand our business. We still run flexo presses, and they have continued to be busy during this time. The work for the Xeikon machine has been generated from new work for existing customers, and new work from new customers," He continues, "While we realized that we needed more digital print capacity, we didn't feel the need to look at other suppliers before making this latest investment. Xeikon has proved itself to be a reliable and very capable partner and a move to their latest product was the only way for us to go," Lindsay says. The Xeikon CX3 five-colour digital label press hardware offers variable substrate widths up to 330mm (13 inches). This latest machine now offers PeterLynn a top speed of 30 m/min (96 fpm). 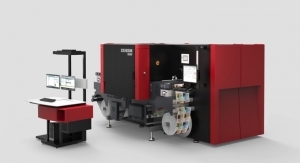 Xeikon touts the CX3 as being the most productive digital label press in its class, and offers all the other benefits that make Xeikon label presses unique. These include full rotary printing, a print resolution of true 1200 x 3600 dpi, toners that meet FDA regulations for food contact, and one pass opaque white toner. Vicky Waine, Sales & Marketing Manager for PeterLynn, is delighted with the addition of the new digital press. 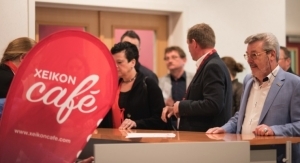 She says, "We have been regularly reaching production capacity on the Xeikon 3300 over the last few months. The additional capacity of the new press will be very welcome. The latest toners that we can use will also allow us to expand the range of work that we can produce. Because of the lower fusing temperatures of Xeikon's ICE toners, we can now work with PE materials, which are particularly heat sensitive. This will open the door for us to work with the flexible materials that are used for a lot of cosmetics products." In addition to a growing business in cosmetics, PeterLynn also has strong relationships with a number of companies involved in the brewery sector – customers that the company has worked with since their very early days. "This has expanded more recently into the wider beverages market, including gin and wine suppliers," adds Waine. The ability to print one pass opaque white toner has been a key factor in PeterLynn choosing Xeikon. 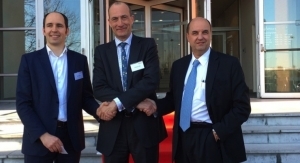 "We have been delighted with the UK uptake of the CX3 model," comments Filip Weymans, VP Global Marketing at Xeikon. "The ability of the machine to be more productive, print even higher quality images, as well as use a wider range of substrates than ever before is really appealing to label printers. Because our latest toners can fuse at lower temperature it means that we can work with thermal labels and thinner films. 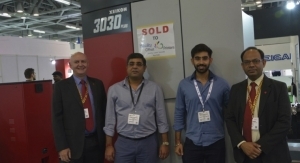 The team at PeterLynn have produced some very high quality labels on their Xeikon 3300 and the new press will give them the opportunity develop their production even further."